The Summer of 2008 marked the 20th anniversary of the massacre of politically committed and the radical Iranian women and men activists who were brutally executed in thousands by the Islamic Republic of Iran. To commemorate and celebrate the lives of this revolutionary generation, in Iran and the diaspora, numerous events were organized by individuals and political groups from Sweden to Australia. 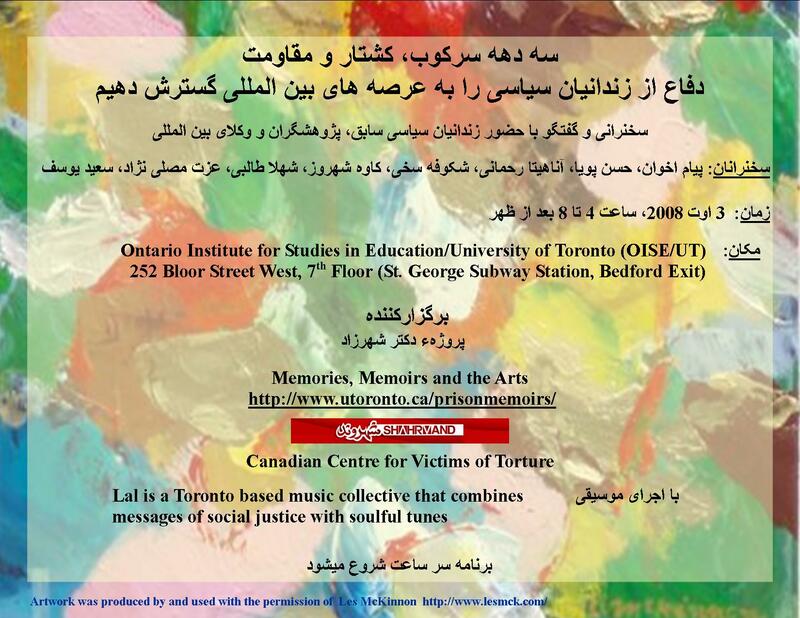 Here is the poster from the event organized by Dr. Mojab, in Toronto, Canada, at OISE.